Size: 1/4 to 3/8 "
We are offering Fuel Nylon Connectors to our clients. In order to cater the variegated demands of our clients, we are offering an excellent quality range of Nylon Fuel Voss Connectors. We provide the best in class connectors. Offers a complete fluid connectors range and highest quality of DIN 2353 metric cutting ring fittings for fluid power systems. 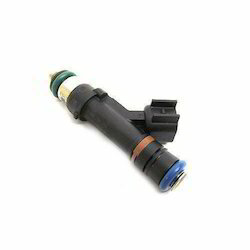 We are presenting an excellent quality assortment of Fluid Connector. 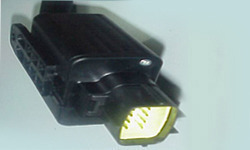 Available with us is a premium array of Fuel Tank Connector. These are made of high grade material and by using latest technology. Moreover, our entire range is of high quality and is available in customized form to suit the specific requirements of the clients. Hydraulic hose is rarely used without connectors. Hoses with connectors attached are commonly referred to as hose assemblies. The range of hydraulic hose connectors conforms to SAE (American Standards), BS (British Standards) and DIN (German Standards).